A shop update of things with type. 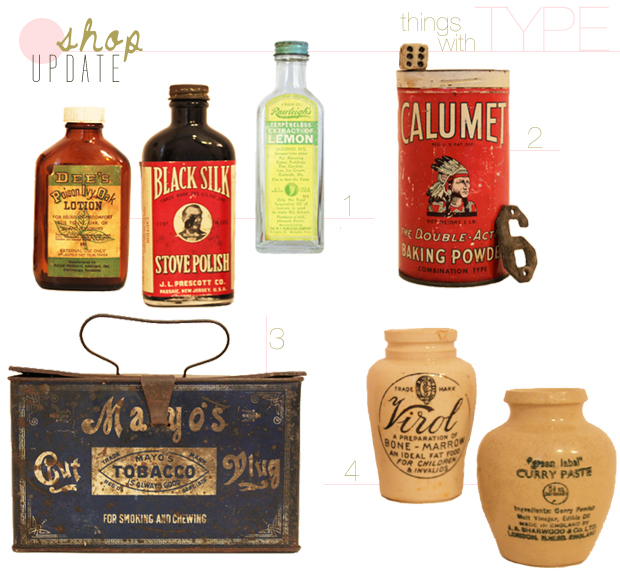 Cool, colorful labels on glass bottles, pretty stenciled pottery and of course a couple wonderfully graphic tins. I love these as storage containers for all sorts of random collections. Anything with type + vintage advertisement is perfect in my book. 4. Pair of small pottery crocks - add some small flowers!